What's behind the success of Lexmoto and Pulse? LAST month, Exeter-based two-wheeler company Llexeter took two places on the monthly UK bike sales charts, with its Lexmoto and Pulse brands coming in at number 6 and 9 respectively. For industry watchers, the story of Llexeter has been one of a meteoric rise. As recently as mid-2011, neither of its brands featured in the monthly charts. Then in September 2011, Lexmoto broke into the top ten, and over 2012, regularly placed as high as fifth, before being joined by its sister brand last month. It's not just the chart positions; Llexeter sold 5,562 of its Chinese-built bikes in 2012 - taking just under 6% of the UK market, behind only Honda, Yamaha and Triumph. Of course, the profit margins on a CBR600RR or Street Triple alone would be more than the entire sticker price of a Pulse or Lexmoto bike, but the sheer numbers can't be argued with. And, as that sales figure also represents 55% growth over Llexeter's 2011 numbers, their trajectory is far steeper than any other two-wheeler company in the UK market. All of which makes Llexeter an interesting company to speak to. So that's what we did, heading over to its premises in Greendale Business Park, near the Devonian village of Woodbury Salterton, to chat to Business Development Manager Daniel Frost. Visordown: Tell us a bit about Llexeter’s origins. And what’s with the name, anyway? Dan Frost: Llexeter was started ten years ago by Leon and Lily Xu, who were studying at Exeter Business School at the time. (Thus the name – their initials plus the name of the city!). Using their contacts in China, they sourced a wide range products from that country – from trampolines, climbing frames and wetsuits to remote-controlled cars, electric bicycles and minimotos – and traded them on eBay. A couple of years later, a change in the laws on online trading reduced the scale of their business. 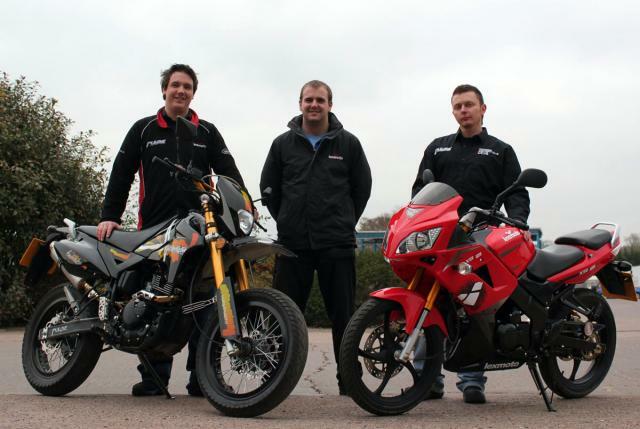 At this point, Llexeter’s operations manager Paul Wakely and IT technician Dave Steer, who were both keen bikers, suggested to Leon and Lily that they begin trading in road-legal motorcycles. And so Pulse was born in 2006 and Lexmoto followed a year later. V: What differentiates the two brands? DF: Pulse is our entry-level, youth brand. It encompasses eight scooters in the 50-125cc range, including the popular Pulse 50, and one motorcycle, the Adrenaline 125. Both these models were best sellers in their segments in February. Lexmoto is a newer brand, meant for older riders. It spans nine motorcycles and five scooters, also in the 50-125cc range. In May, we will be launching another Lexmoto motorcycle, the stylish ZSX-125 commuter, and a 14-inch-wheeled scooter is also on the cards. V: 23 models, that's quite a lot. Do you think that confuses customers? DF: Well, we believe it’s better to have more models than not enough! The reason we have so many models is that we offer both 50 and 125 cc version of some bikes, and we sell previous-generation versions of some of our models alongside the newer ones as well. We constantly review our range and make sure we are selling only what people want to buy. V: What about 250s? Any plans to get into higher-capacity segments? DF: The price point of our products is below £1,600 – the average price of a used Japanese 125 – and that’s a deliberate decision. So we’d need to see how close to that price point we could bring in any 250s. We’re not sure there’s enough of a market for Chinese-made 250s, or indeed bigger bikes, right now. That said, we are currently evaluating a 250cc version of one of our existing bikes, the Pulse Adrenaline. V: Who actually builds all your bikes? DF: We source our bikes from a number of Chinese factories – we’ve worked with Baotian, Lifan, Shineray, Jinlun, Qinqi, and many others. China today is like how Britain was in the early days of motorcycling – hundreds of different factories building bikes and selling them under various brands. China manufactures more than 20 million bikes a year, exporting more than half their production. We conduct research and Leon uses his contacts in China and visits various factories to find suitable bikes that can fill a market niche. Suppliers visit us here too. We carefully consider a factory’s reputation, quality and products and select models based on our knowledge of the UK market’s needs. We test them on UK roads and put them through strict quality control. Only once we’re satisfied do we get EEC type approval and launch the model. As it is Llexeter who provides the customer with a one-year warranty, and not the supplying factory, we have to be ready to stand by the quality of our bikes. It’s simply a matter of good business. V: Tell us a bit more about the UK market for Chinese bikes and Llexeter’s place in it. DF: There are a number of companies selling Chinese-made bikes in the UK, including WK, Baotian, Keeway, Sinnis, AJS, Skyteam, Direct Bikes, Generic and Learner Legal. But Llexeter is by far the biggest. We sell about one-third of all the Chinese bikes sold in the UK. 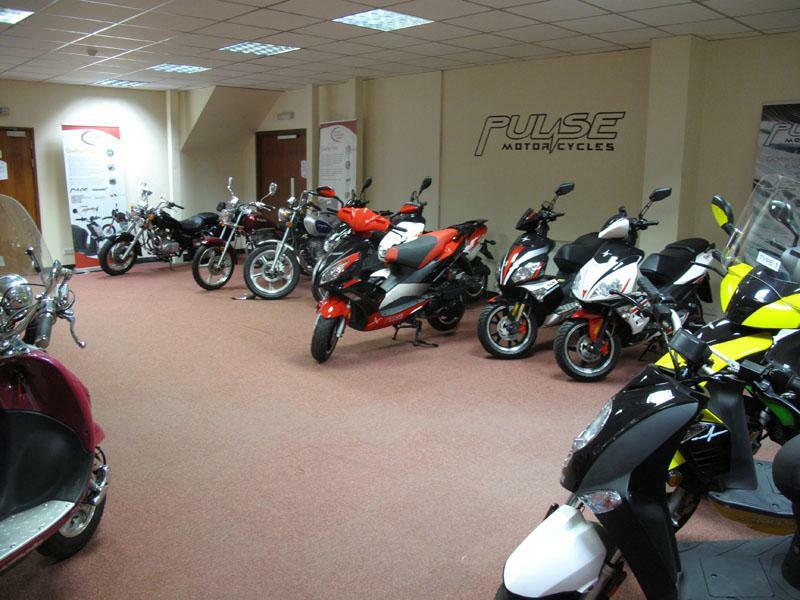 In 2012 we sold 5,562 bikes and took a 5.9% share of the total two-wheeler market. We’re growing rapidly, too – Lexmoto and Pulse grew by 60 and 30 per cent year-on-year, respectively. Since Llexeter started selling road-legal bikes, our total sales to date, across both brands, have crossed 26,000 units. V: Where is Llexeter today? DF: We are a trade-only operation; we sell bikes to our 126 nationwide dealers, who do the final assembly and PDI checks for customers. Earlier our dealers tended to be car or bicycle dealers who wanted to widen their offerings, but now we have more high-calibre dealers, motorcycle dealers who see the value in stocking our products. We’ve grown to 22 people – technicians, parts pickers, account managers, customer service managers, purchasing managers and administrative staff – and we’re bringing in 4-5 container-loads of parts and bikes each week. 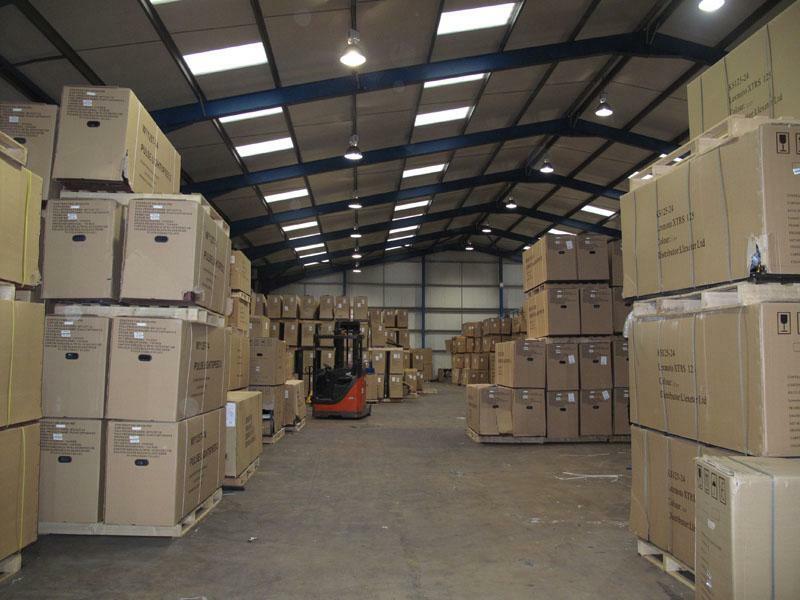 We’ve recently expanded our warehouse to 90,000 square feet, and currently stock some 1,200 bikes and nine months’ worth of parts. V: Sourcing spare parts for Llexeter bikes is not an issue, then? DF: Not just for our bikes – we supply parts for all Chinese bikes sold in the UK! ChineseMotorcyclePartsOnline.co.uk (CMPO), which is part of Llexeter, is the UK’s biggest parts provider for Chinese bikes. In fact, CMPO comprises two-thirds of Llexeter’s business. We began by bringing in parts to support our warranty, then we brought in more and more parts to match other bikes available here. Now, we stock some 1.9 million parts – 80,000 listings across 20,000 different lines – and supply them to 1,300 UK dealerships, service centres and traders, with next-day delivery. V: Do you think Chinese bikes have crossed the perception rubicon with British buyers? DF: Yes, I think so. Some years ago, buying Chinese bikes could be problematic, in terms of registration and insurance, build quality, getting spare parts, service support and so on. But that’s just not the case now. Though Chinese bikes have received bad press in the past, this was often a case of importers not bringing in the right products or not doing their homework, or not having a big enough network to support customers. The quality of Chinese-made bikes has improved significantly. Bear in mind that it's not just Chinese-branded bikes that are made in China; Yamaha's YBR125, for instance, is made there, as are some Piaggio and Peugeot models, as well as some Harley-Davidson parts and Kawasaki and BMW engines. Now, customers are making up their own minds about Chinese products and voting with their wallets. Lexmoto and Pulse are now familiar and trusted brand names, and people are aware that we offer good dealer support and easy availability of parts. When we had a stand at Motorcycle Live in 2011, we had an overwhelmingly positive reaction and received a lot of praise for our bikes. V: Who is the typical Lexmoto or Pulse buyer? DF: Our bikes are aimed at anyone looking to save money, who needs an alternative to public transport or a car. At the value end of the market, people want stylish bikes that are very cheap to buy and run. We also target returning riders or those looking for a cheap winter bike. 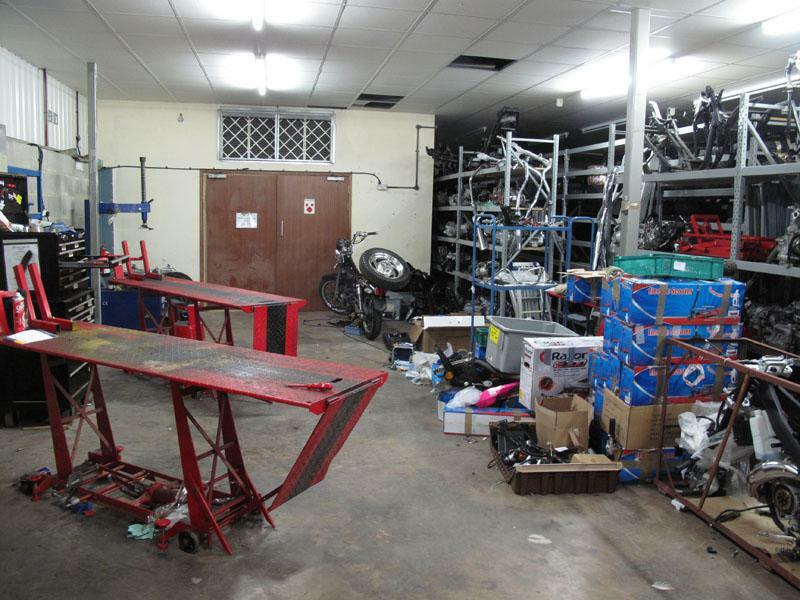 The used 125 market is competitive, as these bikes are used for CBTs and learner riding, so our bikes tend to hold their value. The typical Lexmoto or Pulse buyer uses it for short time – a year, perhaps two. Our bikes are stepping stones to a bigger bike, but we are happy with that, as it means we are bringing new riders into biking. V: What does 2013 hold for Llexeter? What can buyers look forward to? DF: More of the same really – we want to continue growing strongly and increase brand awareness. 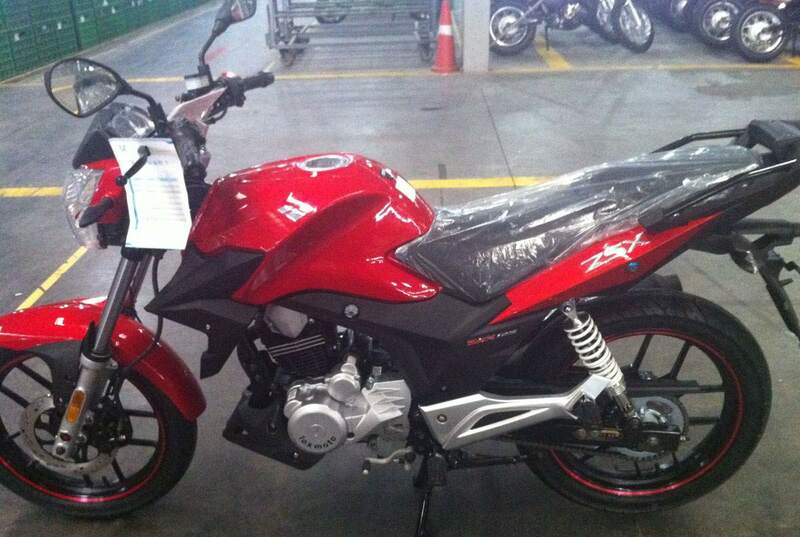 We’ll be launching new models, like the ZSX-125 commuter in May, followed by a big-wheeled scooter and perhaps a 250. And we’ll keep offering great value to the customer.